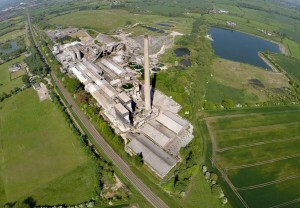 A former cement works has been shortlisted as a possible site for a logistics hub linked to Heathrow Airport’s expansion. The West Wiltshire site, owned by construction materials giant Tarmac, has made it onto the 18-strong shortlist for potential locations for four regional hubs which will pre-assemble components for the expanded airport. These components would then be transported to Heathrow, playing a key role in the airport’s efficient growth and reducing the amount of congestion caused by construction traffic in and around it well as lowering the number of on-site construction staff. The 18 shortlisted sites are spread across the UK and were narrowed down from a longer list of 65 and an earlier list of 121 sites. Owners of the sites will now be invited to pitch to Heathrow bosses. The giant Tarmac site in the shadow of the Westbury White Horse had been home to cement production for more than 40 years, most recently under the Lafarge name, before production ceased in 2009. The site is now operated by construction giant Tarmac as a distribution depot, although only a small part of the site is now currently used to transfer cement from rail wagons to heavy goods vehicles for onward transport. 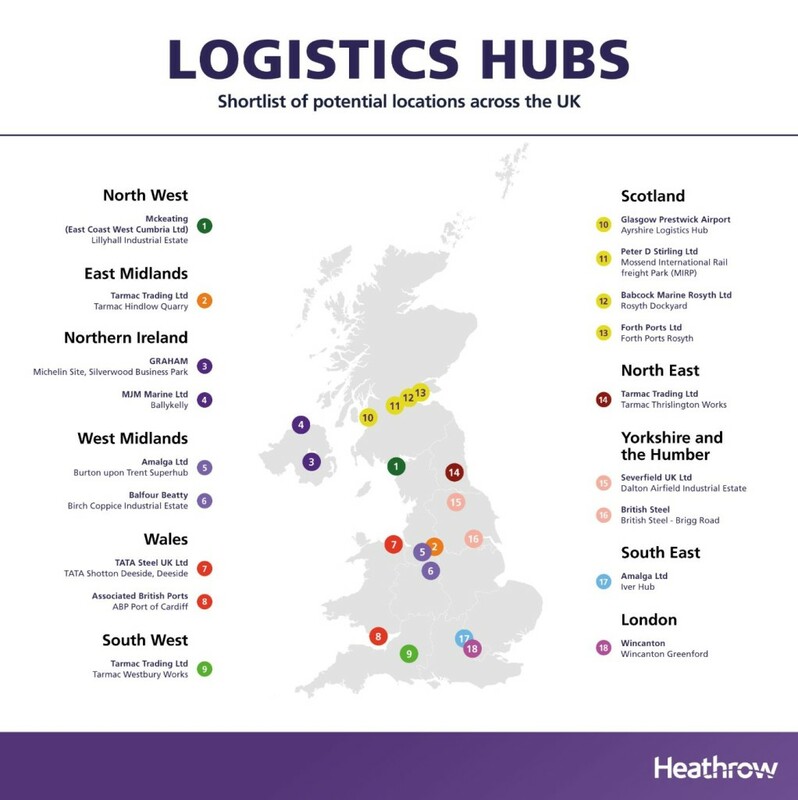 The four Heathrow logistics hubs could also bring together research and innovation in new construction techniques with factories or warehouses where prefabricated building and runway sections could be assembled before being transported to the airport. The government chose Heathrow, the UK’s busiest airport, over Gatwick as its preferred location for air travel expansion in the South East. Under the proposals a third runway will be built at Heathrow, possibly opening as early as 2025. Heathrow wants to spread the benefits associated with what would be one of the UK’s largest infrastructure projects – with a price tag of around £18bn – around the country by setting up the four regional logistics hubs. The final four sites will be selected early next year, ahead of work starting in 2021, a Heathrow spokesman said.